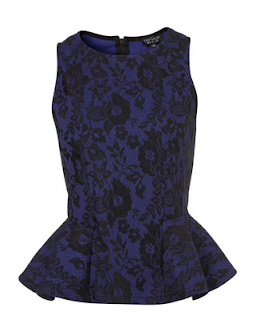 This fall the Peplum is everywhere. 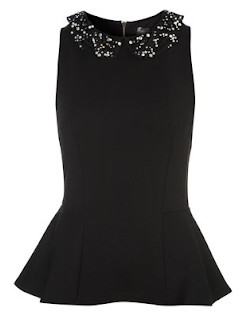 It is one of my favorite trends as of late. 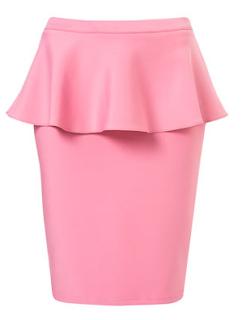 I love the feminine lines, and the retro like feel. 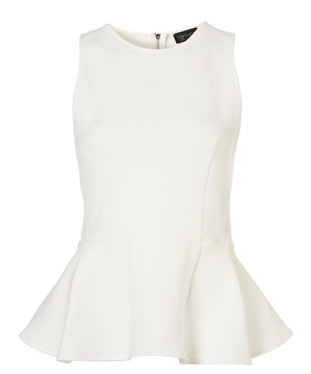 It is figure flattering and you can wear peplum tops with skirts, pants or even shorts! 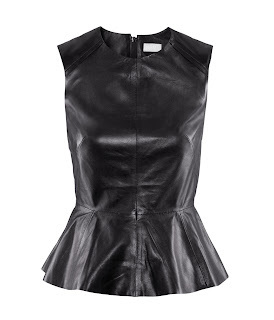 The leather look…this has got to be first on my list!! I am going to whip one of these up with some faux leather I have been saving in my fabric stash! Be on the look-out for my version of the faux leather peplum top. 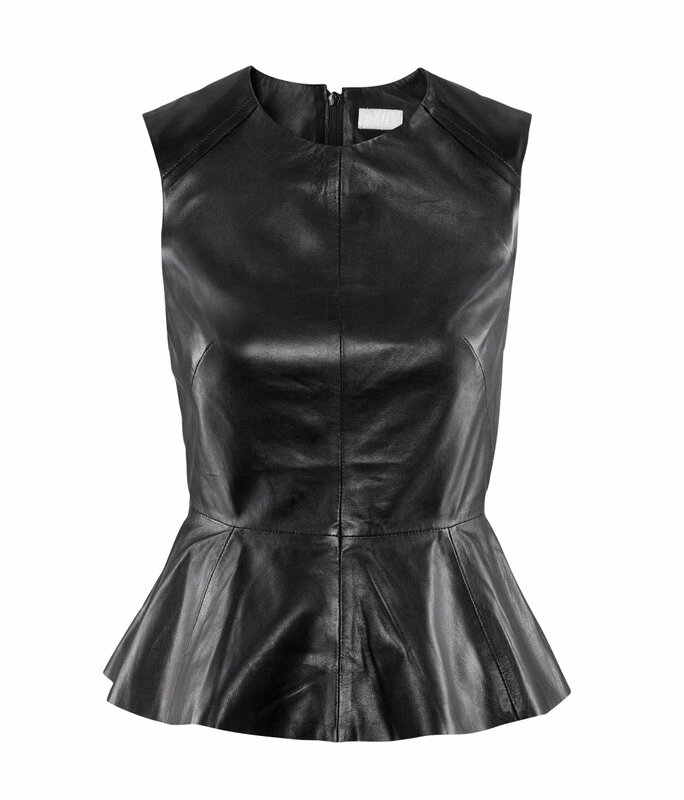 Tinley Road faux leather top available at piperlime. The following tops, skirt and dress are all from TopShop. If you have not been to the TopShop website, you should! 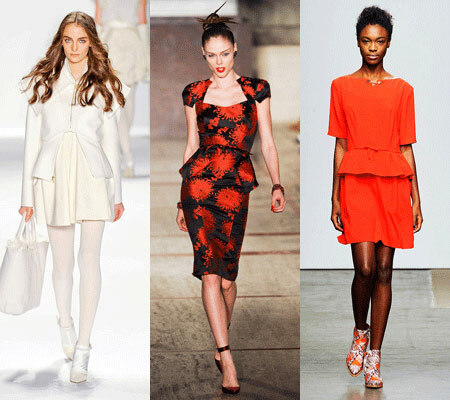 I love their collections. You can see all their peplum garments by clicking here. If you are more of the creative, DIY types, then you can make your own peplum jacket, top or dress by visiting the burdastyle website. 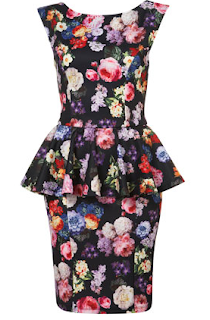 Here are a few of the patterns that they have for peplum styles, they even have a “draft a peplum” tutorial. You can view that by clicking here. Until Next post! Have a wonderful day!